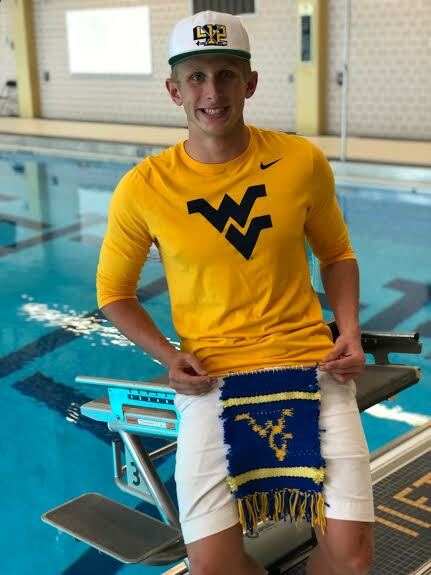 Conrad Molinaro of Pittsburgh Elite Aquatics has verbally committed to the West Virginia Mountaineers. He joins their class of 2023, and is the program’s first public announcement for the class of 2023. Molinaro is strongest as a sprint breaststroker, but he also brings in solid times in the 100 fly and 200 IM. He is currently a senior at Franklin Regional HS. West Virginia swims in the Big 12 conference, which is fairly dominated by the Texas Longhorns (and, on the men’s side, it’s just Texas, WVU, and TCU in the conference). Despite Texas’s predictable team title wins year after year at Big 12s, the 100 and 200 breast were both won by Mountaineers last season. Jake Armstrong was 52.59 to win the 100, with Trent Desibio going 1:56.00 to win the 200. Both Armstrong and Disibio are seniors, so WVU will definitely welcome Molinaro’s entry next fall.